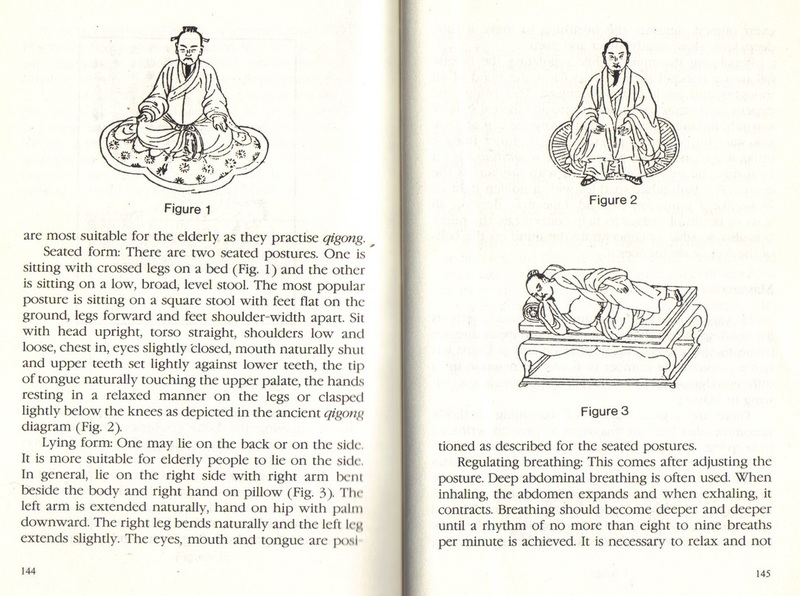 This is an extract from Liu Zhengcai's interesting book entitled 'The Mystery of Longevity', (Foreign Language Press, Beijing), published in English translation in 1990 (republished in 1996). Liu Zhengcai (b. 1938) trained as a traditional Chinese doctor in Sichuan initially under the guidance of his uncle (a not uncommon training pathway in China prior to 1949, as the study of medicine usually ran within strict family lineages). Liu Zhengcai graduated from the Chengdu College of Traditional Chinese Medicine in 1965, and from 1970 worked at No.1 Clinic of the Chengdu Unit of the Chinese People's Liberation Army. He is a renowned academic in China, specialising in all aspects of Traditional Chinese Medicine (TCM) in both theory and practice. He has written hundreds of papers on this subject, which has included interviews with famous Daoist healers. This book is a broad self-diagnosis and treatment manual, that includes all kinds of common ailments, together with appropriate recuperative exercises and basic medicines. Below is a general method of 'Quiescent Qigong' designed to repair the mind, body and spirit which can be practised by anyone.